I love Sharpies. It may be a borderline addiction. I blame it on years of using them to mark scripts back when I was directing. 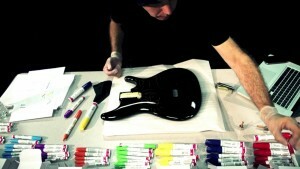 Joe Satriani uses oil based Sharpies to create designs on 50+ guitars. What are you gonna make today? 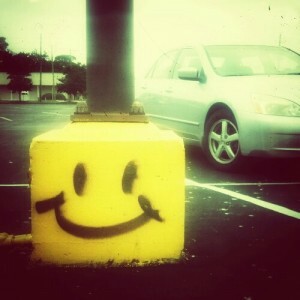 So, I don’t normally condone graffiti, but this one made us all smile.